“Personal Information,” as used in this Policy, is information that specifically identifies an individual, such as an individual's name, address, telephone number, e-mail address, or similar personal data. Personal Information also includes information about an individual’s activities, such as (but not limited to) information about his or her activity on our Services, and demographic information, such as date of birth, gender, geographic area, and preferences, when any of this information is linked to Personal Information that identifies that individual. Personal Information does not include “aggregate” or other non-personally identifiable information. Aggregate information is information that we collect about a group or category of products, services, or users that is not personally identifiable or from which individual identities are removed. We may use and disclose aggregate information, and other non-personally identifiable information, for various purposes. We give you the ability to register for a personal account and to create and update a user profile on the Services. When you register an account on the Services, we require that you provide your email address, and at your option, user name, password, user profile, date of birth, and additional biographical information. You are also given the opportunity to associate your account with a bowling center or centers. We may indicate that some information is required for you to register for the account or to create the profile, while other information is optional. As part of the experience in the Center, you have the ability to provide information as part of the session/attraction/game/etc. This could include, but not limited to, names, pictures, user selections, scores, and scoring statistics. This information is only available for the specific session and is used for individual customer service. The Services may contain interactive functionality that allows you to engage with other users on the Services. If you use any interactive functionality on our Services that request or permit you to provide us with Personal Information (including, for example, any services that allow you to post user materials on any of our Services), we collect the Personal Information that you provide to us in the course of using these interactive features. If you contact us by e-mail, using a contact form on the Services, or by mail, fax, or other means, we collect the Personal Information contained within, and associated with, your correspondence. We may also collect information from or about you through your contact with our customer support teams, sales teams, or other employees of our organization. The use of this information is limited to the purpose for which you contacted us. Centers may collect your information at the Center as it pertains to an appointment. This appointment may be made via online reservation, phone reservation, waitlist reservation, or other. When making an appointment, the center may collect your name, phone number, email address, shoe size, address, and additional personal details as it relates to the appointment. This data is stored at the center and may be recalled for future correspondence or reporting. We or a Center may offer e-mail newsletters from time to time on our Services. If you sign up to receive a newsletter from us or the Center, we collect your e-mail address. When you visit the Website, we automatically collect information such as (but not limited to) your IP address, cookie information, browser type, system type, the content and pages that you access on the Site, the dates and times you access the Website, and the “referring URL” (i.e., the page from which you navigated to the Website). Similarly, when you use the Services from a mobile device, we automatically collect a variety of information about your mobile device and your use of the Services, such as your IP address, Device ID (as defined below), device type and operating system, browser type, as well as the dates and times you access or use the Services, and actions you engage in using the Services. This information is gathered for all users. When you sign in at a participating Center, we automatically collect information such as game information, activity, scores, and purchase history. This information is gathered for all users and the data collected is only available to Brunswick, the involved Center, and you. We may collect this information passively using technologies such as (but not limited to) standard server logs, cookies, and clear GIFs (also known as “web beacons”). If we link or associate any information gathered through passive means with Personal Information, we treat the combined information as Personal Information under this policy. Otherwise, we use and disclose information collected by passive means in aggregate form or otherwise in a non-personally identifiable form. We may receive information about you, including Personal Information, from third parties (such as affiliated bowling centers) and may combine this information with other Personal Information we maintain about you. If we do so, this Policy governs any combined information that we maintain in personally identifiable format. In general, we will only use the information you provide to us, including Personal Information, for the purpose for which such information was provided. For example, we use the information you provide us when registering for an account on the Services to create your user account and enable your interaction with other users of the Services. We may also use this information to deliver to you information about Brunswick or to conduct trend analysis, pattern detection, and Website administration. Users may opt-out of receiving future mailings from Brunswick and other entities by following the instructions set forth in the opt-out section of the mailings. Non-personal demographic and profile data is used to tailor your experience of the Services, showing you content we think you might be interested in. This information may also be shared with advertisers on an aggregate non-personal basis. We use your IP Address to help diagnose problems with our server, and to administer our Website. We may provide certain automatically-collected, aggregated, or other data, including Personal Information, to our subsidiaries, affiliated companies and other trusted businesses or persons for various purposes, including providing and improving the Services (e.g., payment processing and transmission of communications); compliance with reporting obligations; for business or marketing purposes; to assist such parties in understanding our users’ interests, habits, and usage patterns for certain programs, content, services, advertisements, promotions, and/or functionality available through the Services; and for our other purposes described in this Policy. 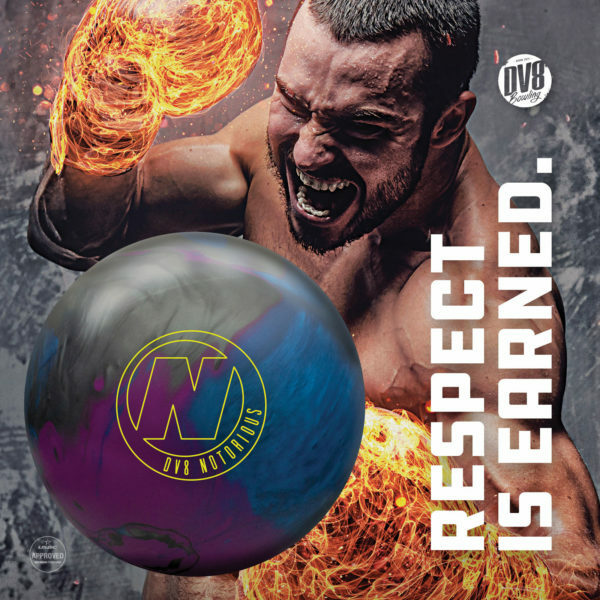 For example, if you would like to redeem awards at a participating bowling center, we will disclose certain Personal Information to the bowling center in order to authenticate the transaction. We will share Personal Information with our Partners once you have opted in to associate your account with their bowling center. We limit the Personal Information shared with these third parties to that which is necessary to carry out those functions and require that our partners respect and comply with applicable law as a condition of doing business with them. We may share Personal Information and other information with third parties (including regulatory or law enforcement authorities) in order to carry out a user's request or if we believe that doing so is legally required or is in our interest to protect our property or other legal rights (including, but not limited to, enforcement of our agreements), or the rights or property of others. Some features of the Services may allow you to upload, post, or otherwise transmit user material (“User Materials”) to public areas of the Services, such as content that you post in a public profile on the Services. We may make these User Materials available for display upon Brunswick properties that are not governed by this Policy, as well as to services operated by third parties (such as affiliated bowling centers) that display content from the Website (collectively, “Syndicated Services”). Please be aware that any Personal Information that you include within any User Materials will be made available to other users of the Services who view it. You include Personal Information in User Materials at your sole risk. We may allow you to select privacy options that limit access to some types of Personal Information in User Materials, but no security measures are impenetrable or perfect. Additionally, even after information posted on the Services is removed, caching and archiving services may have saved that information, and other users or third parties may have copied or stored the information available on the Services. We cannot warrant or guarantee that any Personal Information that you provide on and in connection with the Services will not be accessed, viewed, or used by unauthorized persons. If you post any information to a public area of the Services, including your Personal Information, please be aware that it is no longer "Personal Information" for the purposes of this Policy, and we or anyone else may use such information without restriction. If you provide access to Personal Information or other information to a limited set of other users through any of our privacy controls or other settings, please understand that Brunswick has no control over how others may collect, use or disclose such information. Note that when you sign into your Services user account, bowl and record games at participating bowling centers, information about your games will be broadcast, real-time, on the System. By using the Service, you expressly agree that information about your bowling games may be broadcast real-time to other users and visitors to the Website. The Services may contain links to other websites, products, or services that we do not own or operate. If you choose to visit or use any third-party products or services, please be aware that this Policy will not apply to your activities or any information you disclose while using third-party products or services or otherwise interacting with third parties. We are not responsible for the privacy practices of these third-party websites and services. We encourage you to carefully review the privacy policies applicable to any such website or service you visit before providing any personal information on them. User data entered for Services under User Account & Profiles, Integrated Services, and Email Newsletters (under the Collection of Voluntarily-Provided Information section) is stored and retained until a user deletes their account. No data is removed unless at the request of the user. User data for Appointment information (under the Collection of Voluntarily-Provided Information section) hosted at the Center is defaulted at 400 days from the origination of the appointment, but the retention length can be changed at the discretion of the Center. Active transactions are deleted after 30 days along with any email address included in the transaction. Names, scores, and statistics for Entertainment Features (under the Collection of Voluntarily-Provided Information section) hosted at the Center is defaulted at 120 days from the origination of the session, but the retention length can be changed at the discretion of the Center. All other information from the session (ex. Pictures) are immediately deleted. Users can export customer data, via the functionality of the Sync Passport Service, at any time during the term of the agreement or by contacting privacy@brunswickbowling.com. Users can also delete customer data, via the functionality of the Sync Passport Service or by emailing your request to privacy@brunswickbowling.com., at any time. When Brunswick receives a complete deletion instruction from you, Brunswick and any applicable Center will delete the relevant customer data from applicable systems within a maximum period of 180 days unless retention obligations apply. User data collected for Correspondence (under the Collection of Voluntarily-Provided Information section) may be accessed, corrected, or deleted upon request by contacting privacy@brunswickbowling.com. The Services are intended for general audiences and is not directed to children under 16. We do not knowingly collect or maintain Personal Information from persons under 16 years of age on the Services, and no part of the Services is directed to persons under 16. If we learn that Personal Information of children under the age of 16 has been collected on the Services without verifiable parental consent, then we will take the appropriate steps to delete this information. If you are a parent or guardian and discover that your child under the age of 16 has obtained an account for any of the Services or otherwise provided Personal Information to us, then you may alert us at support@brunswickbowling.com and request that we delete that child’s Personal Information from our systems. Authentication: If you’re signed in to SyncPassport or other Brunswick Websites, cookies help us show you the right information and personalize your experience. Preferences, features and services: Cookies can tell us which language you prefer and what your communications preferences are. They can help you fill out forms on SyncPassport and other Brunswick Websites more easily. Our Website has industry standard security measures in place to protect the loss, misuse and alteration of the information under our control. Brunswick operates global infrastructure designed to provide state-of-the-art security through the entire information processing lifecycle. This infrastructure is built to provide secure deployment of services, secure storage of data with end-user privacy safeguards, secure communications between services, secure and private communication with customers over the Internet, and safe operation by administrators. Brunswick Services run on this infrastructure. Information about our users, including Personal Information, may be disclosed as part of any merger, acquisition, or sale of company assets, as well as in the unlikely event of an insolvency, bankruptcy or receivership in which Personal Information would be transferred as one of our business assets. Brunswick is committed to subjecting all personal data received from European Union (EU) member countries and Switzerland, in reliance on the EU-US and Swiss-US Privacy Shield Frameworks, to the Frameworks’ applicable Principles. If there is any conflict between the terms in this Policy and the Privacy Shield Principles, the Privacy Shield Principles shall govern. To learn more about these Privacy Shield Frameworks, visit the U.S. Department of Commerce’s Privacy Shield website. Primarily, the Services are hosted in the United States, however data can reside in any of our geographically diverse data centers throughout the world. If you use our Services from the other regions with laws governing data collection and use that may differ from United States law, please note that you are transferring your personal data to the United States. Also, we may transfer your data from the United States to other countries or regions in connection with storage and processing of data, fulfilling your requests, and operating the Services. By providing your Personal Information, you consent to the transfer of your Personal Information to the United States and to other world regions and the use of your Personal Information in accordance with this Policy. Brunswick is responsible for the processing of personal data it receives, and under Privacy Shield we may subsequently transfer that data to a third party acting as an agent on our behalf. Brunswick complies with the Privacy Shield Principles for all onward transfers of personal data from the EU and Switzerland, including the onward transfer liability provisions. With respect to personal data received or transferred pursuant to the Privacy Shield Framework, Brunswick is subject to the regulatory enforcement powers of the U.S. Federal Trade Commission. In certain situations, Brunswick may be required to disclose personal data in response to lawful requests by public authorities, including to meet national security or law enforcement requirements. Brunswick commits to cooperate with EU data protection authorities (DPAs) and the Swiss Federal Data Protection and Information Commissioner (FDPIC) and comply with the advice given by such authorities. If you have a privacy or data security concern that we have not addressed satisfactorily, please contact your supervisory authority. Under certain conditions more fully described on the Privacy Shield website, you may be entitled to invoke binding arbitration when other dispute resolution procedures have been exhausted. Pursuant to California Civil Code sections 1798.83-1798.84, California residents are entitled to ask us for a notice describing what categories of personal customer information we share with third parties or corporate affiliates for those third parties’ or corporate affiliates’ direct marketing purposes. That notice will identify the categories of information shared and will include a list of the third parties and affiliates with which it was shared, along with their names and addresses. If you are a California resident and would like a copy of this notice, please submit a written request to the following address: privacy@brunswickbowling.com. Brunswick fully complies with the EU General Data Protection Regulation (GDPR), replacing the 1995 EU Data Protection Directive. The GDPR strengthens the rights that individuals have regarding personal data relating to them and seeks to unify data protection laws across Europe, regardless of where that data is processed. Brunswick may be either a Processor or Controller depending on the services you use. If you are using Services under the control of a Center, then the Center is the Controller. Please direct your privacy inquiries and requests for access, correction or deletion of personal information to the Center. If you are using Services under the control of Brunswick, such as Correspondence (under the Collection of Voluntarily-Provided Information section) , then Brunswick is the Controller. In this case please direct your privacy inquiries and requests for access, correction or deletion of personal information to privacy@brunswickbowling.com. The Data controller and Data Protection Officer for data processing is Brunswick with registered offices in Muskegon, Michigan, USA, e-mail address privacy@brunswickbowling.com. By writing to the same email address, you may request further details and explanations regarding Data processing. Any data that a customer and its users input to our systems will only be processed in accordance with the customer’s instructions, as described in our Personal Information section outlined in this document. Data controllers can use the various Services, administrative consoles and services functionality to help access, rectify, restrict the processing of, or delete any data that they and their users put into our systems. This functionality will help them fulfill their obligations to respond to requests from data subjects to exercise their rights under the GDPR. Users have access to a dedicated team where data protection related enquiries can be directed by sending the request to privacy@brunswickbowling.com. Brunswick will promptly inform you of incidents involving your customer data in line with the data incident terms in our current agreements and the updated terms that will apply starting on 25 May 2018, when the GDPR comes into force. According to the GDPR, the controller and the processor shall implement appropriate technical and organizational measures to ensure a level of security appropriate to the risk. This is outlined in our Security section of this document. Please see the Data Retention/Deletion section of this document.